Let the music out. 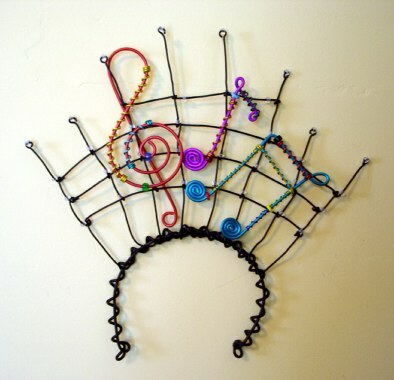 Wear this tiara and sing! Stand out in any Jazz Fest crowd. Design Incorporates large clef, 8th note, & 16th note ornaments.